Get intense color payoff with the same exceptionally creamy-, velvety-feeling formula you already love. Dramatic. Winged. Multihued. Any way you wear it, you’ll keep your fresh look. 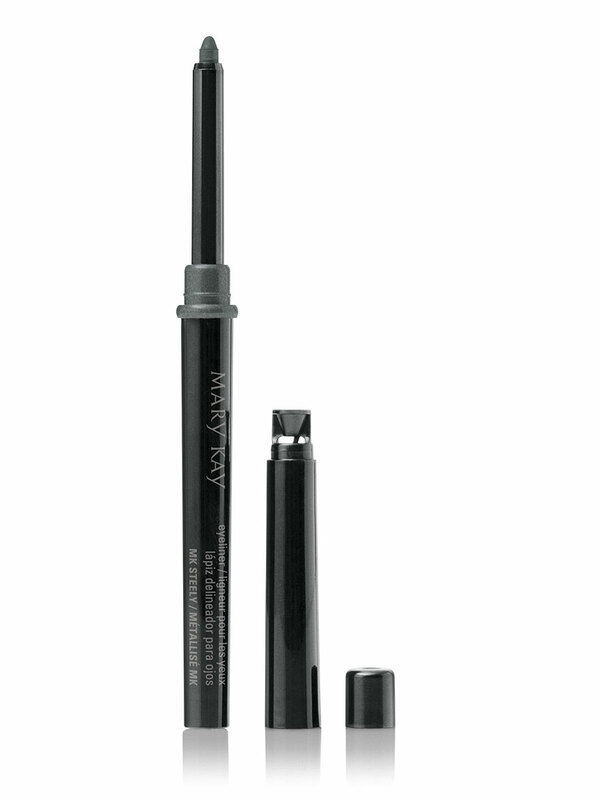 Mary Kay® Eyeliner glides on flawlessly and stays looking just-applied for hours. Expertly formulated to feel as good as it looks, this waterproof formula won’t tug on delicate eye areas, providing a soft feel that wears comfortably all day. The retractable pencil has a built-in shaper, so you can line any way you like. No skipping, no fading. Just captivating eyes defined by you. To create a perfect thin line, start at the inner corner of the outside edge of the lashline, drawing short, interconnecting lines. For a thicker line, draw over the line a second time, adding slight pressure. Smudge with the Mary Kay® Eye Smudger Brush to soften. For a dramatic cat-eye effect, extend the line outward and upward from the outer edge of the eye. 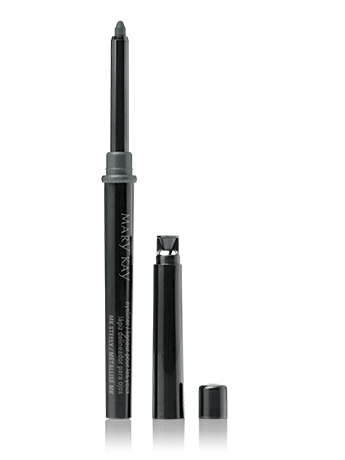 For artistic, multihued eyes:use the angled, flat brush of the Mary Kay® Eyeliner/Eyebrow Brush to apply any shade of Mary Kay® Mineral Eye Color as eyeliner, then apply Mary Kay® Eyeliner and blend. For lower lashlines, soften the look with the Mary Kay® Eye Smudger Brush. Remove shaper cap from the end of the pencil cap. Holding the shaper cap in your dominant hand, grasp the pencil near the end of the tip and insert into the shaper. Carefully twist the shaper cap in a gentle back-and-forth motion to shape the tip of the lead.